Let your dog show their team spirit on gameday! It will be smooth skating with our line of NHL dog clothes. Your dog won't need to sit in the penalty box in one of our NHL dog jerseys. Available in many sizes to fit dogs large or small. Available in select NHL teams. 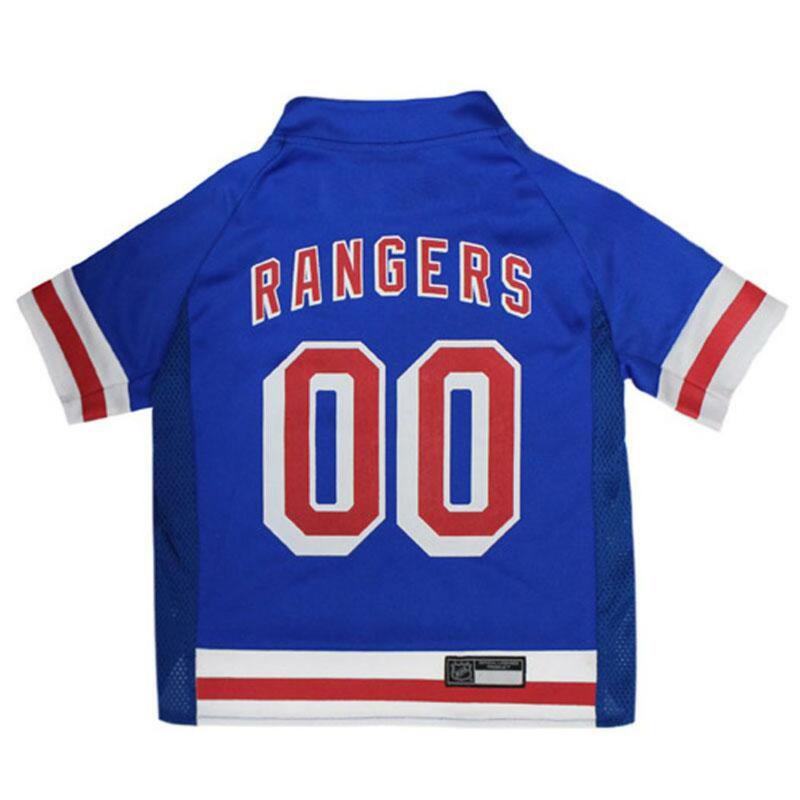 All dog jerseys are designed in full team colors with official team name font and logo. Also features the official NHL logo on the sleeve. Made from 100% breathable micro-mesh polyester. Wash in cold water (no bleach) and tumble dry cool or hang to dry.